Absolutely stunning Full Brick home!! Full of character, This home has it all! A must see 3 story builders home with amazingly private backyard paradise featuring a salt water pool, outdoor fireplace and large flat yard. Open floor plan, huge gourmet kitchen with lots of living space, large island, fully upgraded with granite, stainless and gas stove top. Enjoy peaceful mornings and quiet evenings entertaining or just relaxing in the Screened porch overlooking the private backyard. Private office on the main floor. Energy efficient home-Save tons of money each month with the homes solar panels & upgraded windows. Gorgeous owners suite, secondary en-suite bedrooms are full of upgrades. Basement includes a huge workshop, exercise room, bonus-Rec room. 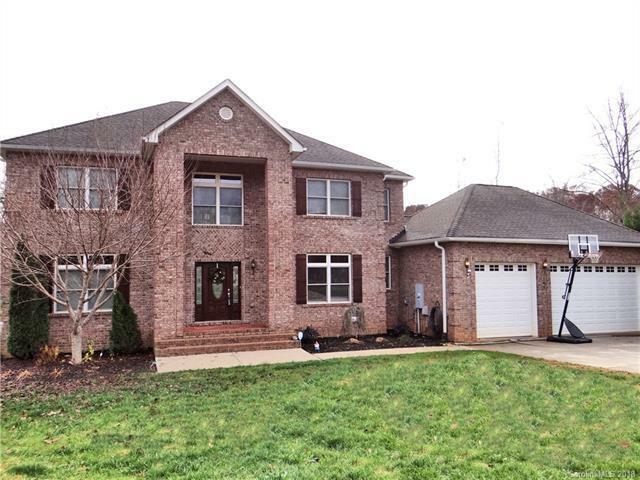 Great cul-de-sac location, award winning Iredell County Schools. Close to I-77, shopping, restaurants & Charlotte.